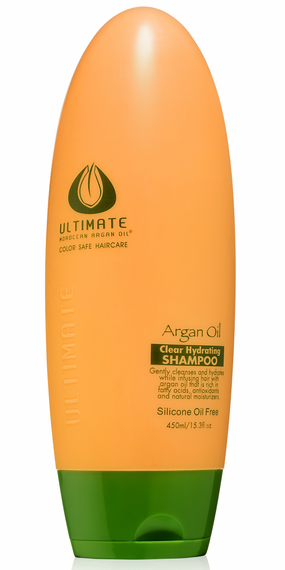 Bring back life and luster to your hair with the ULTIMATE Moroccan Argan Oil® Clear Hydrating Shampoo. Infused with argan oil that is rich in essential fatty acids, antioxidants (such as vitamin E and carotenes) and natural moisturizers, this shampoo is specially blended to help restore health and shine to hair. ULTIMATE Moroccan Argan Oil® Clear Hydrating Shampoo is a great moisturizer that will clean and leave your hair beautifully strong and revitalized. A little will go a long way in this 450ml bottle.